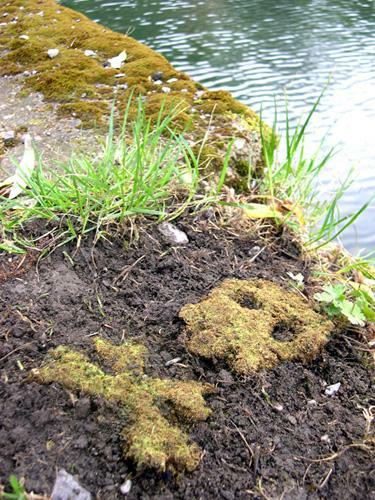 Moss Graffiti is a recipe for living graffiti inspired by the hardiness of London weeds. A mixture of beer, sugar, and moss is painted onto an outdoor surface (brick and roughened concrete work best). The moss will gradually colonize the structure, covering undesirable architecture and making an individual mark on a corporate structure. Eventually, the moss graffiti will look as if it has always been there. Helen Nodding is inspired by the hardiness of urban plants to draw attention to their activity in the city. She is based in London.